John van Loenhout was born	in 1977. 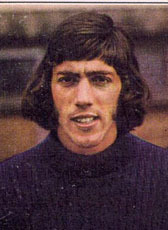 Leen Barth is a former Dutch goalkeeper, who played in Belgium during his professional career. As a 19 year old youngster he left Vlaardingen to play for Belgian giants Anderlecht. He started out as a substitute, and after 5 years at Anderlecht he realized that he needed to play more first team matches. He decided to join Union, but after only one season the opportunity arose to join Club Brugge. After playing at Club Brugge for five seasons he made a surprising move to local rivals Cercle Brugge, where he retired after four seasons.